Adam Bregu’s international experience didn’t stop when he completed his Dual Degree from Melbourne Business School and Bocconi University. Join us as Adam chats from his office overlooking Milan’s famous Duomo Square. Adam Bregu developed an interest for the start-up industry after commencing his Master of International Business (MIB) at Melbourne Business School (MBS). Initially seeking to gain a better understanding of international business and expansion strategies, Bregu decided that he would attempt to further his studies by applying for the dual degree program currently offered by MBS in conjunction with Bocconi University in Milan, where Bregu was accepted, and HEC Montreal (read: Montreal to Melbourne). During his time in Milan, Bregu had to complete two languages as part of his Master of Science (MSc), Marketing Management. Italian by heritage, he took the opportunity to brush up on his mother tongue, and also took up Spanish. 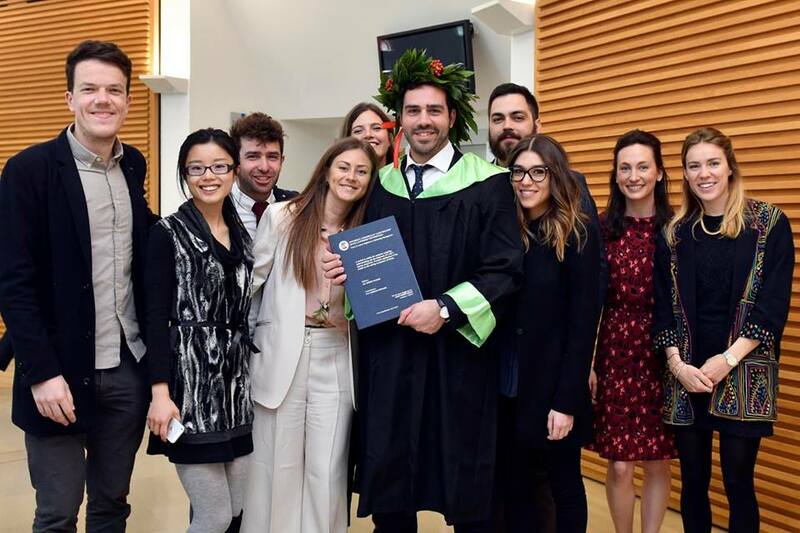 “The dual degree, particularly with the mandataory language subjects as part of Bocconi (University)’s Master of Science, was demanding, and definitely pushed and tested me,” Bregu says of his experience. It was also during this time that Bregu began taking his first steps into what would ultimately become a graduate employment opportunity: working for the Milanese Government to develop the start-up industry locally. For his Masters thesis at Bocconi, Bregu decided to study the start-up ‘ecosystem’ in cities. “To do this, I worked closely with the city of Milan to conduct my research and also test my modelling,” he explains. The Milanese government recognised the importance of Bregu’s work, and the Melbournian was offered a graduate position to develop the city’s start-up environment. Bregu shares some of his most important moments with us. In short, I am trying to develop a ‘one-stop shop’ for start-ups in Milan. The aim is to support and develop these businesses locally. I am also part of the team that is structuring a local accelerator program. What exciting projects have you worked on since you started three months ago? One of my main projects since starting was to organise a two-day fashion start-up bootcamp in June. Members of the Dutch Royal Family, StartupAmsterdam and eight fashion start-ups were invited to attend the exclusive workshop aimed at helping Dutch expand into the Milanese market, during which attendees mixed and mingled with local brands, fashion leaders and investors, and gained insight into local opportunities. It was super busy, but I loved every minute of it and it was a great outcome for Milan. Do you think that local governments are the answer to building healthy start-up environments? Local governments are one of many important segments of a city’s start-up ecosystem and, therefore, they do have an important role to play. Many successful local governments support, develop and facilitate start-up ecosystems, with a focus on integrating and interacting with the many other segments including the private sectors such as investors, incubators and accelerators, co-working spaces, and even larger corporations. Can you tell us a little about the different start-up sectors you have your eye on in Milan? I think each city’s start-up ecosystem has their own unique elements. Across developed city start-up ecosystems, you do tend to see a similar structure of segments. Milan’s is still relatively young, but it has its own competitive advantages for start-ups, especially in sectors such as fashion, fashion tech, food, food tech, medical, life science and I am fascinated to see where it can go. It's an honour to be part of this exciting new phase!